While we don't recommend sitting on the floor to make or master your music, in all seriousness LANDR does fill a gap for DJs and DJ/producers who can't afford a professional mastering engineer but have moved beyond hitting "normalise" and hoping for the best on outputting their tracks..
Online music mastering service LANDR just passed 4 million masters, and has announced a swathe of sonic improvements to its systems. The company promises these will make a real difference to all types of tracks and DJ mixes uploaded to the service to be mastered, but that will particularly benefit the quieter and more delicate parts of tracks. Traditionally, a finished track goes from producer to mastering engineer. Put bluntly, the mastering engineer makes it louder, and put a bit more accurately, he or she also ensures that the track is presented in its best possible way sonically across CD, vinyl and digital formats. In short, the mastering engineer adds that final sheen, that can make all the difference between a track sounding average out there in the real world, and sounding great. LANDR is an algorithm-driven online service that has a decent stab at doing this for you automatically, instantly, track-by-track. For us DJs, the service also offers mastering of complete DJ mixes, and once your track is done, it also offers a useful "direct to SoundCloud" throughput. We have been watching LANDR's progress carefully (indeed, we partnered with them to help people master their tracks on our Music Production For DJs course), and while we have yet to test this new engine ourselves, the company is clearly onto something - it just celebrated 4 million tracks mastered. Want to give it a go? 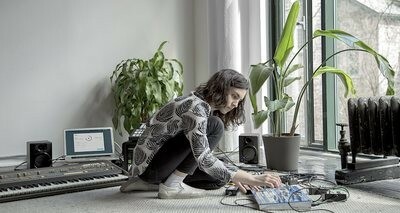 LANDR is giving four free WAV masters to anyone who chooses to join through this link - take a peek and see if you couldn't give your own productions a bit of extra polish. Have you tried LANDR? Do you use services such as this, or maybe something like Platinum Notes, to "polish" your tracks? Or do you feel this stuff is best left to professional engineers? Please share your thoughts in the comments.